A Tree Popper is a rugged, simple tool that makes it easy to remove invasive/unwanted plants and trees. PRACTICAL – A simple, yet effective, one-person, back-saving implement, used to extract unwanted trees and plants, roots and all. PRODUCTIVE – No repetitive clearing in the same area – the perfect tool for follow-up, final clearing. COST-EFFECTIVE – A rugged tool that needs no maintenance at all. ENVIRONMENTALLY FRIENDLY – Organic and manual operation with no herbicides, petrol, oil, grease or high-speed blades to cause damage to natural vegetation. ADAPTABLE – The Tree Popper can be used on rocky and inaccessible ground where normal hand tools and mechanical cultivation are impossible. The Tree Popper was designed in direct response to the need for eradication of invasive alien plants. 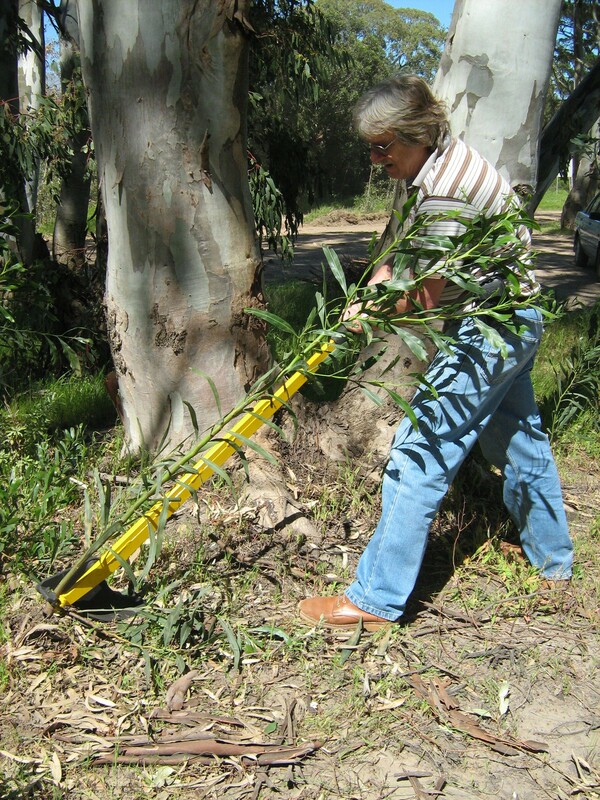 The Tree Popper is a robust, uncomplicated tool that can be used by one person. A simple concept of leverage has been used to ensure the complete removal of unwanted vegetation roots & all, providing a permanent solution to a longstanding problem. Manufactured from mild steel, the Tree Popper comprises a lever/handle with a rubber grip and a foot piece firmly held together by a circlip. These two basic parts form a plier-like jaw that is used to grip the plant stem. Operation is simple with the jaw hooked around the plant stem, force is exerted on the handle causing the foot piece to lever the plant and its roots completely out of the ground. This simple manual operation has eliminated the need for high-speed blades and other potentially dangerous mechanical operations. No skill is required when using the Tree Popper and even woman and children can operate it safely. The Tree Popper does not harm the environment and facilitates the permanent removal of alien vegetation without causing pollution. Use of this rugged implement also eliminates the need for herbicides and other chemicals. It is suitable for use in areas that are inaccessible to other mechanical implements, having been used successfully on mountain slopes and other difficult terrain. Take a look at this video HERE from treepopper.co.za. It will make you want to rush out and start popping trees!